Entrepreneurs and startups are mostly behind the well-documented increasing wealth in Asia. But becoming an entrepreneur, and nurturing entrepreneurship, is new to the area. After decades of steady development through manufacturing, Asia is step-by-step finding another path. Regions like the Pearl River Delta of Mainland China used to be a hub for low value added manufacturing. Today, it is becoming a space for high-tech manufacturing and services. More tech startups are settling and growing in Asian cities like Shenzhen. Some of them even replace old factories. There’s another interesting statistic. 37% of company owners in Asia decided in college or school to become entrepreneurs. In the U.S and Western Europe, only 27% of company owners did the same thing. These factors suggest a reinforcing culture of early entrepreneurship in Asia. But the growing number of startups all over the continent need assistance. They can only thrive with the help of governments, institutions and private structures. Startups need their support not only on financial but also managerial aspects. The challenge is not finding people with great ideas. The problem is giving them access to quality knowledge, coaching, and financing. 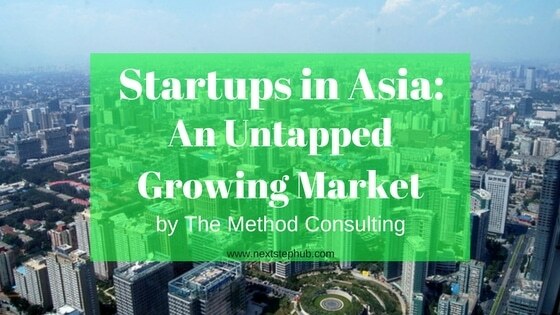 We, at The Method, are confident in the future of Asian startups. We are also aware of the hard work that remains ahead for Asia to become an international startup scene. This is why our mission is to seek, build and invest in startups all over Asia the best we can. The Method is an Investment Consulting company. They improve and develop startups in Asia through Workshops and Training. They also provide Project Management and Investment Solutions. For more information and a free review of your project, feel free to get in touch with their team.